Oh how a couple years changes things. Just over two years ago, Chrome Unboxed (as a website news outlet) didn’t exist, our videos were simple cellphone-on-a-tripod shots, and the landscape of Chromebooks was much, much different. 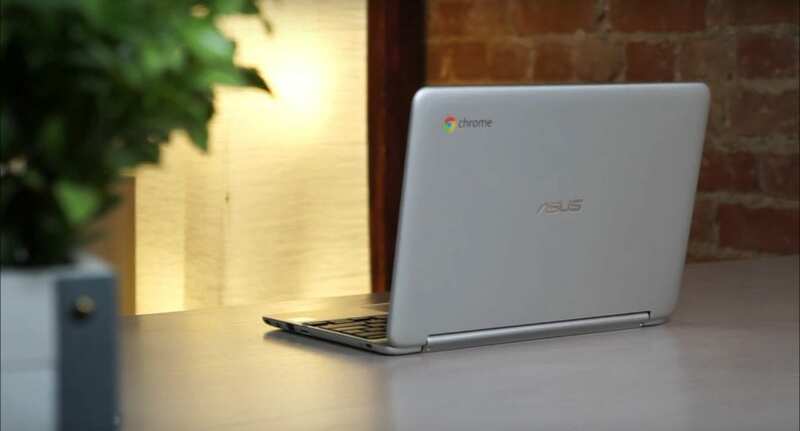 For instance, The ASUS Chromebook Flip C100 came on the scene as an absolute aberration. Fully-aluminum bodies, touchscreens, and convertibles weren’t things we discussed when discussing Chromebooks back then. At the time, the 2015 Chromebook Pixel was new, along with the Toshiba Chromebook 2 and the Acer C910. All great devices and great examples of what Chromebooks represented at that time. In the middle of that sort of expectation, the original Flip was an anomaly ahead of its time. It was more tablet than notebook, more mobile than desktop. It was the precursor (know it or not) of where Chromebooks were headed. Though a bit under-powered and lacking in some key areas, it was enough of a differentiator that it sold steadily for nearly 18 months. 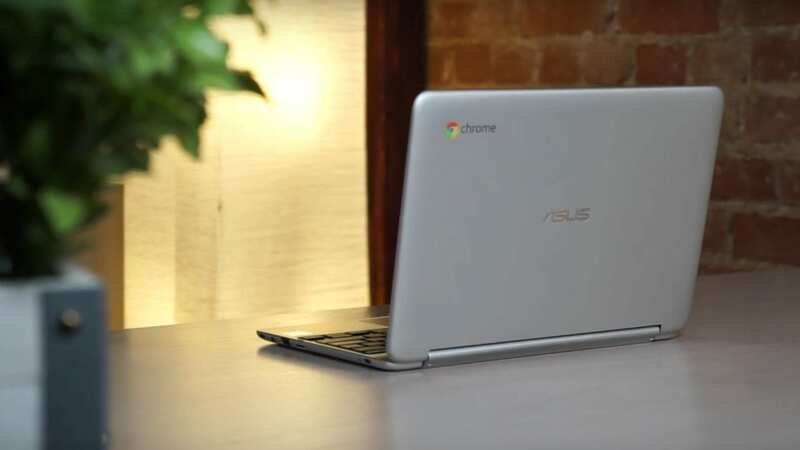 As two full years went by without a proper sequel, however, more and more convertible Chromebooks flooded the market, including a much more capable offering from ASUS itself under the Flip nomenclature. We began to think there may not be a true follow up to the original, forward-thinking convertible Chromebook. But then ‘Bob’ showed up, we followed along with its development, and the ASUS Flip C101 is now upon us. Released right in the middle of the Pixelbook storm, you’d be forgiven for totally missing this little guy. You would, however, be sad to do so. For everything ASUS did right in the original, they’ve done a little better the second time around. Nothing is ever quite perfect, and this offering from ASUS is no different. However, for the price point and the particular use cases this Chromebook is great at, there are likely many of you out there that could really benefit from ASUS’ overdue update. Looking at this device, you’d be completely in line if you’re having an issue telling it apart from its predecessor. They are as identical as two different generation devices can be. In the case of the ASUS Flip, that’s not a bad thing at all. As I said above, there’s a lot of metal going on here and a slim, tight build that leaves little to want for. The keyboard deck is solid, the chassis has no flex, and the overall aesthetic is pleasing to both the hands and the eyes. Other than swapping out a few ports (we’ll circle back to those), everything is where it was for the first generation. The build materials are identical as well, with a soft-touch aluminum outer casing and a brushed aluminum deck. I think they should have stuck with the soft-touch stuff everywhere like the ASUS Flip C302, but that’s a small nag. It seems ASUS took an “if it ain’t broke, don’t fix it” approach here, and to do that with 2.5-year-old hardware says more about the first generation’s forward-thinking design than it does about this current model. All in all, though, this thing feels great and looks good as well. This is one of the spots ASUS stepped up the Flip’s game a bit. No, it isn’t a higher resolution this time around. It still sits awkwardly in the 1280×800, HD range that was acceptable in 2015, but feels dated (or budget) now. It still has really big bezels. And the resolution still makes text a bit small for my taste. Honestly, simply putting a 1080p screen would’ve done wonders. With Chrome OS having a nice scaling mechanism in place for almost a year now, a 1080p screen scaled to the 1200×800 (like the Samsungs and Pixelbook do) would have really felt nice. Despite that hiccup, the screen is much brighter than the previous generation, and that was one of my biggest gripes about the old one. It isn’t quite the searing brightness Samsung and Google achieve, but it is rated at 350 nits and looks every bit of it. Direct sunlight outdoors still gives it trouble, but I didn’t find a single indoor lighting setup that it couldn’t handle just fine. It is IPS and viewing angles are good while losing a bit of brightness off-angle. One thing we’re unclear on at this point is the surface material on the screen. Glass or plastic? I’m inclined to assume glass, but we’ve had quite a few questions on this and I can’t quite make up my mind. It picks up fingerprints worse than most devices and the gets hard to slide my finger across pretty quickly, so that makes me think it could be plastic. We’ve reached out and yet to hear back on a firm answer. We’ll update if we find out for sure. This is a bit of a mixed bag. The original Flip had a surprisingly good keyboard and trackpad. This model unsurprisingly boasts the same combo. The keyboard works well, feels a little cramped, but has WAY more travel than you’d expect in this diminutive package. Once you get used to it, it fares OK for getting around basic Chromebook stuff. I wouldn’t want to type a long article or paper on it, but it is fine for general use. The trackpad is OK and registers gestures and swiped just fine, but the click mechanism was not good on my review unit. It was way too stiff and had that annoying double-click issue I haven’t had to gripe about for a while. Basically, the springs underneath are pushing the trackpad surface up higher than the button underneath it. So, when you go to depress it, you feel the first click of the trackpad hitting the button and then the button’s actual click. It feels cheap and frustrating. I can’t say whether or not this is a widespread issue, but I’m hoping it isn’t since the handful of C100’s that passed through my possession over the years never had this issue. It is an easy fix, but the screws are tiny hex screws, so getting in there won’t be simple and no one should have to do that to a new device. If you get one with the wonky trackpad, exchange it. Another place ASUS upgraded and upgraded well is in the port selection. For a tiny Chromebook in a sea of Chromebooks moving to only 2 USB-C ports, this little guy really delivers. ASUS wisely ditched the old, proprietary charger and micro-HDMI port for two USB-C ports. In addition, they kept the USB 2.0 (type-A) port, micro-SD card slot and headphone/microphone jack. The opposite side rail holds the power button and volume rocker. The speaker grills are on the underside of the device and as ASUS touts on their site, this thing puts out some serious volume. It is max treble and lacks all bass, but the sound is nothing if not loud. Seriously loud! If nothing else, they’ll be great for video chats and watching YouTube videos. Yet another place ASUS has really improved over the original is in the performance category. The Flip C1000 was powered by the Rockchip 3288 and it showed. The base model also shipped with 2GB of RAM and that pairing simply struggled back then. It is a serious test of patience to use these days. Not so with the C101. Inside we have the updated Rockchip RK3399 (or the OP1) just like the Samsung Chromebook Plus is using and 4GB of RAM. I’ve said this many times before, but it bears repeating: with far fewer pixels on the screen to push, the RK3399 is a very capable processor. I even hooked it up to my QHD (2560×1440) monitor and it got along quite well in the few days I worked expressly from the C101. Needless to say, I was impressed. When only pushing its lower-res screen, this device got along very well. Animations through the OS held up and performance just got out of the way. I didn’t have to think for a second about being on a cheaper processor. And with that lower resolution screen and ARM processor come pretty stellar battery life, too. I was easily seeing 8-10 hours of use with no real need to charge during the day. For such a tiny device, this is fantastic to see. One area I did run into trouble quickly with was storage. For whatever reason, ASUS is shipping a 16GB version of this device. I can’t stress how limiting this is with Android apps. The Flip C101 ships with the Play Store enabled and after just a few apps getting installed, I was getting system errors left and right. Simply put, if you are going to install Android apps, wait for the 32GB model that is most definitely coming soon. Pay the extra money and save yourself the hassle of trying to operate on a Chromebook in 2017 with only 16GB of onboard storage. So, in summary, we have the original ASUS Chromebook Flip C100 with a faster processor, brighter screen, improved port selection, and double the RAM. At $299, it is almost a fantastic deal. I say almost because the majority of you are going to want to use Android apps, and the lacking internal roadblocks real road block there. If you can limit yourself to only a handful of apps and don’t need much in the way of local storage, you can make due. But seriously, ASUS, this is a bit ludicrous. If the 32GB version shows up and stays inside $50 of the $299 price tag, I’d say for those looking for a zippy, compact companion device, pull the trigger. As it stands, I think many of you will need to wait it out and get the larger storage version. A worthy update all around, though and a proof positive that iterative design on a great product can yeild some really nice results.